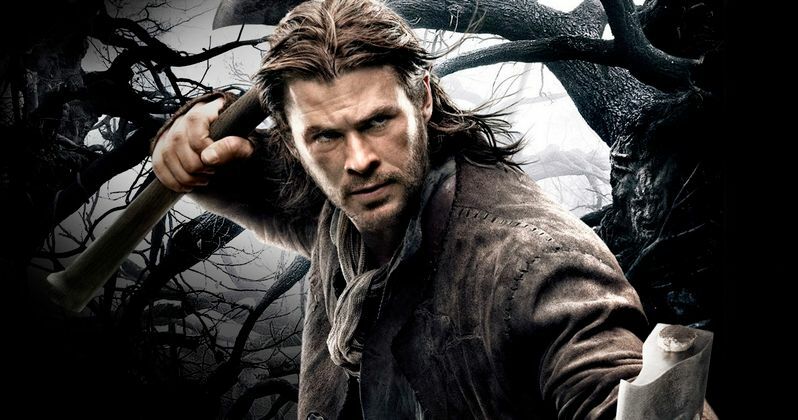 Just four days after Frank Darabont dropped out of Universal Pictures' Snow White and the Huntsman prequel, The Huntsman, the studio has found a replacement director in VFX specialist Cedric Nicolas-Troyan. Insiders claim that Cedric Nicolas-Troyan was one of the top contenders to helm the sequel when the studio was first looking for a director, since he is very familiar with this story after serving as the visual effects supervisor on the 2012 original. We reported last week that Emily Blunt is in talks to play the villain, and while Variety reveals that the actress is still in negotiations, her character has not been revealed. Snow White and the Huntsman stars Chris Hemsworth and Charlize Theron are reprising their roles as The Huntsman and Ravenna, with the story to reveal how both characters' fates intertwined before they met Snow White. Frank Darabont wrote the most recent draft of the screenplay, with earlier drafts written by Craig Mazin and Evan Spiliotopoulos. Joe Roth is producing with Palak Patel serving as an executive producer. It isn't known when production may begin, but Universal has already set an April 22, 2016 release for the sequel. Cedric Nicolas-Troyan signed on back in October 2013 to direct the Highlander reboot for Summit Entertainment, and he is also developing Bethlehem for Universal.